The next Hand Stamped Sentiments challenge is a sketch challenge. I loved how this sketch challenged me think outside my comfort zone. I used the Festive Flurry Bundle and the Northern Flurry Textured Embossing folder to create the card below. I stamped the snowflake with Versamark and Indigo Blue on Vellum card stock then heat embossed with Iridescent Ice Embossing Powder for shimmer and die cut it. The snowflake is adhered to another layer of Vellum I embossed with the Perfect Polka Dot Embossing Folder. To add extra sparkle to the background I used Silver Dazzling Details on the embossed snowflakes. 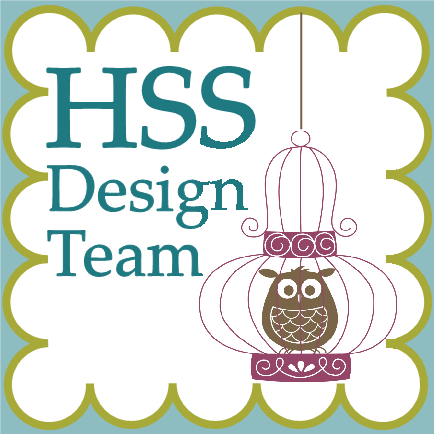 Visit Hand Stamped Sentiments and be inspired by our talented design team to join us for our sketch challenge. So very pretty! I love the amazing work you did on that vellum! All that white on white is a showstopper.